2007.02.15 API형식의 인터넷 익스플로어 (IWebBrowser2 활용) 소스, C언어 전용..
이건 Windows API정복 -가남사 : 김상형저- 에 있던 소스 입니다..
대략 API의 정복이라 불리우는 책이죠.. 좋은책입니다. // 밑에 부분 복사후 Alt + F8 인가로 소스 정렬후 봅시다.. 그게 편합니다..
// 나중에 자기가 짠 소스에 허우적 거리지 않기를..
WinMain 함수의 CreateWindow 함수에서 조정하면 되는것이고요..
이 박스는 WndProc 함수안의 switch 문 안의 여러 이벤트(환경 변화..
// thread separate from the main thread. // 1. Make the IE window resizable or static (non-resizable) based on IE version number. // 2. Turn off the address bar, menu bar, status bar, and tool bar buttons. // 3. Set the width and height of the resulting window. // 4. Change the icon of the MSIE window to one of your own. // Do other interesting IE stuff here while the window is valid. // Wait until IE is done loading before we return. API형식의 인터넷 익스플로어 (IWebBrowser2 활용) 소스, C언어 전용..
web page, or an HTML file on disk). // The class name of our Window to host the browser. It can be anything of your choosing. // This is used by DisplayHTMLStr(). It can be global because we never change it. // and then stuff pointers to those functions in their respective 'slots' in this table. // We want the browser to use this VTable with our IStorage structure (object). // here instead of doing that programmably. // struct *must* be first), and then has an extra data field where we can store our own window's HWND. // MyIOleInPlaceFrameTable in it. But let's just define it here. IOleInPlaceFrame frame; // The IOleInPlaceFrame must be first! // to access in your IOleInPlaceFrame functions. // browser object to display a different web page). // the same function as the MyIOleClientSiteTable uses. // will really get passed to it is a _IOleClientSiteEx *). Site_AddRef, // Ditto as above. Site_Release, // Ditto as above. // all ok. We'll call this new struct a _IOleClientSiteEx. // appropriate IOleInPlaceFrame struct pointer then. IOleInPlaceSite inplace; // My IOleInPlaceSite object. Must be first. // to access in your IOleInPlaceSite functions. // browser object to display a different web page. IOleClientSite client; // My IOleClientSite object. Must be first. _IOleInPlaceSiteEx inplace; // My IOleInPlaceSite object. // to access in your IOleClientSite functions. // at least some stub for all of the functions). // calling these "dummy functions", you'll know which ones you should add more meaningful code to. // E_NOTIMPL so that anyone who *does* call these functions knows nothing is being done here. * passed to DoVerb() and OleCreate(). * appropriate struct. (ie, It passes us a handle to fill in). // and passed to DoVerb() and OleCreate(). Nevermind that 'This' is declared is an IOleClientSite *. // IID_IUnknown, then we'll also return a pointer to our _IOleClientSiteEx. // the pointer to our _IOleClientSiteEx. // IOleInPlaceSite pointer. My, we're really playing dirty tricks on the browser here. heheh. // For other types of objects the browser wants, just report that we don't have any such objects. // (ie, what REFIID it is passing). // wherever it would pass a IOleInPlaceSite struct to our IOleInPlaceSite functions. // use it as so here. * resources, right before we destroy our window. * hwnd = Handle to the window hosting the browser object. * window's USERDATA field. In other words, don't call UnEmbedBrowserObject(). * with a HWND that wasn't successfully passed to EmbedBrowserObject(). // we initially attached the browser object to this window. // Unembed the browser object, and release its resources. // You must have called this for a window that wasn't successfully passed to EmbedBrowserObject(). * string = Pointer to nul-terminated string containing the HTML BODY. * (NOTE: No <BODY></BODY> tags are required in the string). * RETURNS: 0 if success, or non-zero if an error. 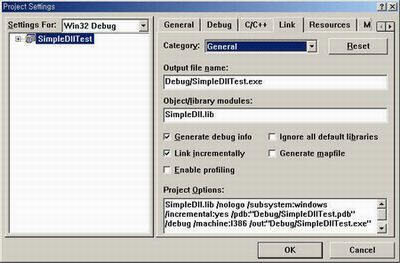 * this function to display numerous pages in the specified window. // object, so we can call some of the functions in the former's table. // write() to stuff our HTML string into it. // Call the Navigate2() function to actually display the page. // Free any resources (including the BSTR). // don't get the DISPATCH object via the browser object's QueryInterface(), but you don't. // array of "VARIENT" structs. So let's create all that. // Store our BSTR pointer in the VARIENT. // into the body of that empty page we created above. // Release the IHTMLDocument2 object. // Release the DISPATCH object. // Release the IWebBrowser2 object. * Displays a URL, or HTML file on disk. * webPageName = Pointer to nul-terminated name of the URL/file. // such as "c:\myfile.htm") must be passed to the IWebBrowser2's Navigate2() function as a BSTR. // with it. If we're not using UNICODE, we first have to convert to a UNICODE string. // Free any resources (including the BSTR we allocated above). 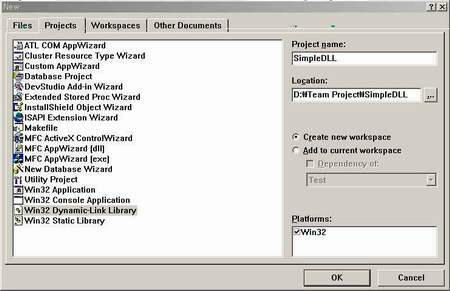 * window's browser object in the window's GWL_USERDATA field. * hwnd = Handle of our window into which we embed the browser object. * the browser can call our functions in our struct's VTables. // a single call to GlobalAlloc, but you could do them separately if desired. // we're giving it the plain old IOleClientSite, IOleInPlaceSite, and IOleInPlaceFrame. // One final thing. We're going to allocate extra room to store the pointer to the browser object. // Initialize our IOleInPlaceFrame object with a pointer to our IOleInPlaceFrame VTable. // Save our HWND (in the IOleInPlaceFrame object) so our IOleInPlaceFrame functions can retrieve it. // Initialize our IOleClientSite object with a pointer to our IOleClientSite VTable. // Initialize our IOleInPlaceSite object with a pointer to our IOleInPlaceSite VTable. // Save a pointer to our IOleInPlaceFrameEx object so that our IOleInPlaceSite functions can retrieve it. // it in this program). We do this by calling the OS function OleCreate(). // base structure contains a 'lpVtbl' field that is a pointer to that array. We'll call the array a 'VTable'. // a pointer to it. That's how you use a VTable. // this extended struct passed to our IOleClientSite functions. // its matching window and its own objects containing per-window data. // these names in its titlebar. // the reference to the VTable itself. // Let browser object know that it is embedded in an OLE container. // and actually put the browser object into our window. // containing pointers to more functions we can call for that object. // pointer to the IWebBrowser2 object. // in our window. The functions we call are put_Left(), put_Top(), put_Width(), and put_Height(). // also note that the first arg we pass to each is the pointer to the IWebBrowser2 object. // browser object until we're done with that object. * Our message handler for our window to host the browser. // calling browser object functions in EmbedBrowserObject(). // Detach the browser object from this window, and free resources. // and put_Height() to give it the new dimensions. * C program entry point. // Initialize the OLE interface. We do this once-only. // and 'ClassName' is the class name. You can choose any class name you want. // For this window, display a string in the BODY of a web page. // Create another window with another browser object embedded in it. // For this window, display a URL. This could also be a HTML file on disk such as "c:\\myfile.htm". // Do a message loop until WM_QUIT. // Free the OLE library.